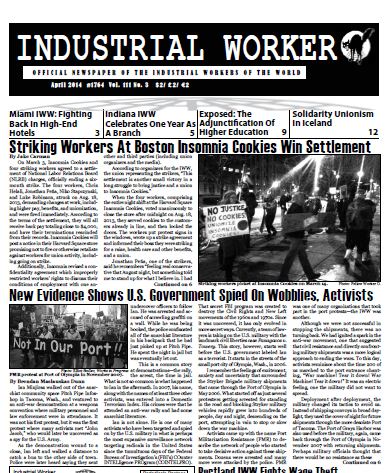 Articles from the April 2014 issue of the Industrial Worker, the newspaper of the revolutionary union, the Industrial Workers of the World (IWW). For paper subscription info, please visit iww.orgor the Literature Department website. For a PDF copy of issue, check here.